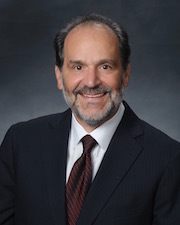 James J. Falcone, practicing law in Sacramento California for over 30 years, advises business and individual clients throughout Northern California in real estate and business transactions and litigation. He has a keen purpose to help promote and protect the interests of his real estate and business clients. His objective with all clients is to help them resolve or avoid their legal problems efficiently. Mr. Falcone has extensive experience representing all sides of real estate and business deals and disputes involving commercial and residential real estate, bare land, sales, contracts, rental agreements and leasing. He also works with clients starting up, forming, managing, and buying or selling businesses, with entity formation and management issues, and other primary business agreements and disputes. In 2008 James established a Blog covering all aspects of current California real estate and business law issues, and discussion of recently published court decisions. After working with a real estate and land use law firm, Mr. Falcone launched his law firm in 1991 with a focus on real estate and business transactions and disputes. Prior to attending law school, Mr. Falcone was a Forester with the U.S. Forest Service in Northern California, as well as working with the Bureau of Land Management and the USDA - ASCS Aerial Photography Field Office.